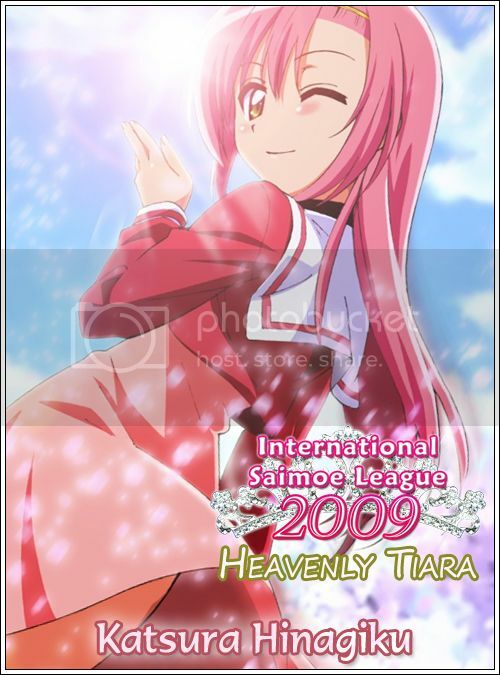 Welcome to the International Saimoe League 2009! 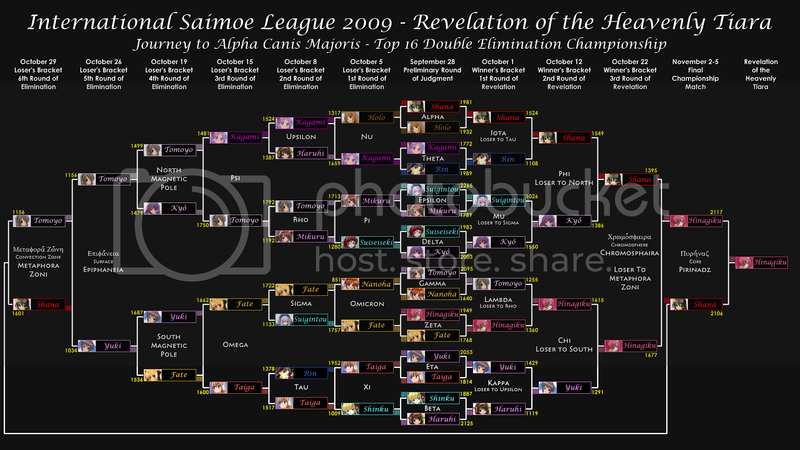 We are excited about our second annual tournament and hope you can join us in deciding your one true saimoe. Navigate our site via the links above to read the rules, schedule, and contestant information. Subscribe to our RSS feed and bookmark the news page for the latest updates. Join the discussion on our forum or in our chatroom on IRC. 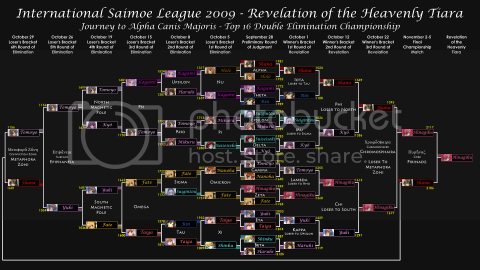 Thank you, and enjoy this year's competition! Polls will be open for 24 hours after the listed start time. Results will be available 12 hours after polls close. During the postseason, these standings will reflect the Relegation Tournament. No major ranges of IP addresses are currently on probation. Bans of address ranges spanning through the second subnet will be listed here. Individual bans or single-subnet bans will not be listed for purposes of privacy and damage control. When an individual address or subnet is banned, its parent subnet is placed on probation above. No major ranges of IP addresses are currently banned.